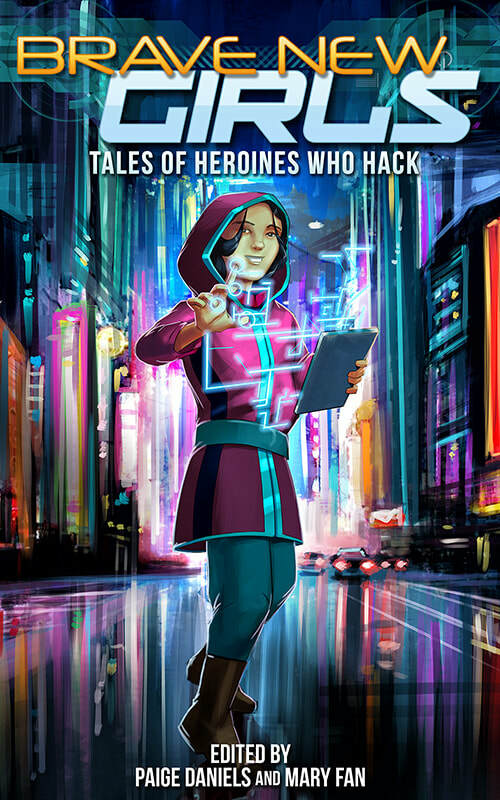 These collections of sci-fi stories feature brainy young heroines who use their smarts to save the day. 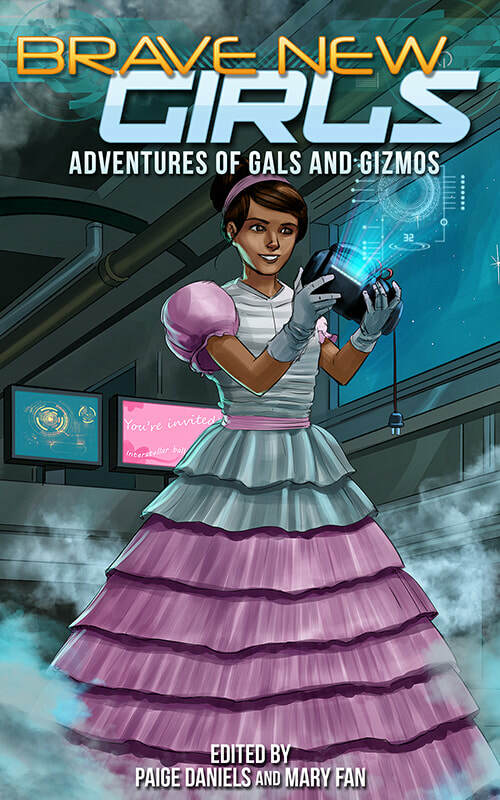 Girls who fix robots and construct superhero suits, hack interstellar corporations and build virtual reality platforms. Who experiment with new-fangled devices and tinker with time machines. Who defy expectations and tap into their know-how—in the depths of space, or the bounds of dystopia, or the steampunk-y past, or the not-too-distant future—to solve despicable crimes, talk to extraterrestrials, and take down powerful villains. We're just a pair of gals who crowdfunded our start and are hoping to keep going strong. Help us out by leaving a tip! 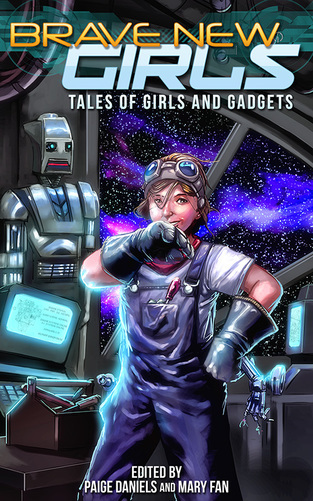 All tips will go toward the production and marketing of BRAVE NEW GIRLS anthologies. ​Featuring artwork by Hazel Butler, Sonya Craig, Ken Dawson, Evelinn Enoksen, Ben Falco, Kathy Ferrell, Christopher Godsoe, Evangeline Jennings, Deanna Laver, Jennifer L. Lopez, Jelani Akin Parham, Josh Pritchett, Emily Smith, and Jennifer Stolzer. Lyssa Chiavari, Jennifer Chow, Russ Colchamiro, MLD Curelas, Paige Daniels, Kay Dominguez, Mary Fan, Halli Gomez, Valerie Hunter, AA Jankiewicz, Nicholas Jennings, Jamie Krakover, Tash McAdam, MJ Moores, Jelani Akin Parham, Selenia Paz, Josh Pritchett, Jeremy Rodden, Aaron Rosenberg, Jenifer Purcell Rosenberg, Jennifer Lee Rossman, JR Rustrian, and Joanna Schnurman.